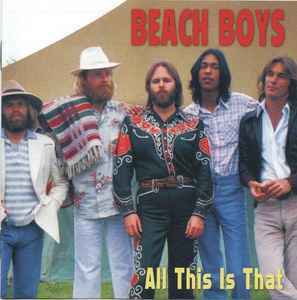 All This Is That is widely regarded as one of the strongest Beach Boys tracks in which Brian or Dennis had absolutely no environment. Clearly influenced by transcendental meditation, and with contributions from Carl, Al and Mike, it is Carl’s production that takes this song to a different league. Harmony, melody and production are all hallmarks of a track which show that brothers, family and friends can take Brian’s vision and make it their own. This entry was posted on Saturday, August 4th, 2018 at 7:59 pm	and is filed under Beach Boys, Everything But The Brian. You can follow any responses to this entry through the RSS 2.0 feed. You can skip to the end and leave a response. Pinging is currently not allowed. Agreed. I was surprised to hear them do this during the 50th Anniversary tour.